Durian fruit's unbearable smell can be a tool in attracting animals to disperse durian seeds to other regions. Ever had durian fruit? Reams have been written about its unbearable, pungent smell that makes it quite unpopular among people. The fruit resembles Jackfruit and is characterized by a pungent smell that keeps people from trying it out. In a recent study, experts have finally managed to figure out the reason behind the fruit's unbearable smell. Experts at the National Cancer Center Singapore studied a variety of durian fruit called Musang King and mapped its genome. It was revealed that the fruit contains close to 46,000 genes - double of what humans have - which is around 23,000 genes. The study was published in the journal Nature Genetics and revealed a certain class of genes to be responsible for durian fruit's odour. 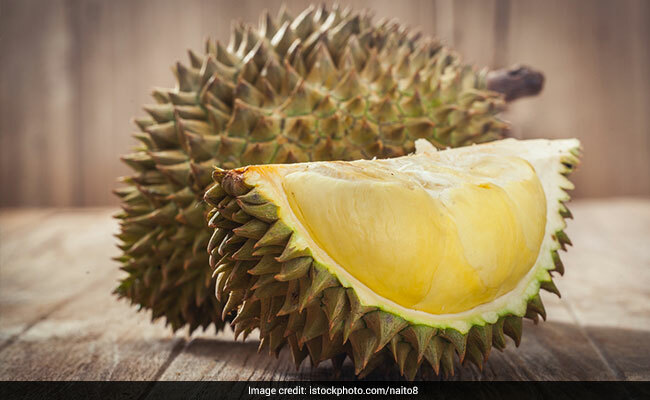 "Our analysis revealed that VSC production is turbocharged in durian fruits, which fits with many people's opinions that durian smell has a sulphury aspect," Patrick Tan, professor at Duke-NUS Medical School in Singapore was quoted by Press Trust of India. Methionine Gamma Lyases (MGLs), a class of genes present in durian fruit, were found to regulate odour compound production in the fruit. The genes were found to lead the production of Volatile Sulphur Compounds - a type of odourous compounds - in the fruit. Experts shared that durian fruit's unbearable smell can be a tool in attracting animals to disperse durian seeds to other regions. Experts led genome mapping also revealed durian fruit's association with the cacao plant dating back to close to 65 million years.